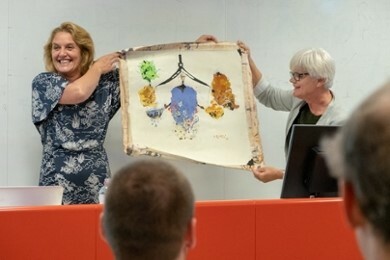 As an international and interdisciplinary research consortium, the Team spent two days at Leiden University in October 2018 for the launch of our ‘GOLD MATTERS project – Sustainability Transformations in Artisanal and Small-scale Gold Mining: A Multi-Actor and Trans-Regional Perspective, funded jointly by NORFACE and Belmont Forum. At the heart of the ‘GOLD MATTERS’ project is a focus on exploring what is actually meant by sustainability transformations in the context of Artisanal and Small-scale Gold Mining, whether transformations can arise, and if they can how and under what conditions. I am the first to acknowledge that considering sustainability transformations in the artisanal and small-scale gold mining sector is – to put it mildly – a tricky proposition given association with negative social and environmental impacts. Indeed, recognizing the fact that gold is a finite resource, some would argue that its extraction is inherently unsustainable. But I would also say that if you can’t apply thinking on sustainability transformations to a very tricky area like artisanal and small-scale gold mining, then we should question how valuable is the concept of ‘transformations to sustainability’ in the first place. After all, we are all extremely dependent on minerals and gemstones in our everyday lives. Coming together in Leiden at the start of the Project was a perfect opportunity for the Team to get to know one another better, personally and professionally. I hope this helped build a basis for strong collaboration; it certainly enabled us to explore initial ideas and to plan practicalities. In design, we use ethnography as an entry point into an interdisciplinary approach. We discussed which topics and themes we can address at the various research sites, and which methods this would require, keeping in view the need for a comparative approach that is also flexible enough to permit individual researcher’s to drill down in depth on particular issues in specific contexts. In April we will have a fuller workshop, going systematically through our conceptual framework, our methodological approach, and our plans for impact. These processes are so important for establishing a good foundation for comparative analysis that we hope will be impactful, within the scope of what is plausible for impact from a three year project. In terms of our plans, we will carry out research in three regions: the Amazon Basin, West Africa, and East Africa. In these regions, small-scale gold mining is a very mobile phenomenon, so we place emphasis on highlighting the mobility of people who introduce new technologies and ideas; linked to this we will explore the impact of new technologies on social (re)arrangements and forms of governance. Do, for example, power relations and/or gender relations change? What kind of impact does it have on resources availability and the way how resources are governed? A red thread running through the research relates to how the people living and working in certain landscapes of extraction envision their own futures, and the dynamics that are taking place around their knowledge and practices. In this sense, mining communities need to have a central role in defining what exactly should be their priorities regarding sustainability and what should be the major focus in a particular area. Of course I am well aware this may lead to contradictions and irreconcilable differences, but it may also lead to unintended and maybe surprising convergences too – at present we do not know. Certainly a starting point is to bring different perspectives and understandings to the fore, particularly those of peoples – gold miners and others in mining communities – who are all too often marginalized from public debate and capacity to influence the development interventions that affect their lives. Within the Team we have good experience in “handing over the camera” to miners to see what they find important to photograph. We see this as a form of ‘co-laboring’ over understandings of sustainability and of transformations. Using different methods of visualization, we hope to capture something of what my fellow team-members, Sabine Luning and Robert Pijpers, describe as the ‘in-depth geopolitics’ of mining. Part of this also involves the fantastic opportunity to work with artists in collaboration with those in mining communities. There is a link on this webpage to a fascinating set of images produced by the Ghanaian photographer, Nii Obodai Provencal, as part of his “Big Dreams: Life Built on Gold” photography series. Burkina artist, Cristophe Sawadogo, is also involved in our project. Unfortunately he could not be with us in Leiden, so in this photograph, Sabine Luning and I are holding one of his paintings – a woman and a balance for weighing gold – representing the many balances that inevitably arise between economy, society and environment –gender, water, gold, crops – the many things that make up the balancing acts through which we all live our lives, implicating ideas and practices of sustainability and unsustainability. We intend that the research outcomes that will emerge – based on visualizations and other sensory modalities, as well as academic publications as our inevitable stock in trade as social scientists and scientists – will be used in sustainability conversations within the local mining community, between communities, and between mining actors and others in different regions. To enable our sustainability conversations to engage audiences, we plan for a ‘travelling pop-up exhibition’ to serve public debates. Our exhibition will move from West Africa to East Africa, to Europe and onwards to Brazil. It will be very mobile and flexible so it can be placed in different spaces, accessible for different mining communities, men and women, policy makers and people who fund mining operations. We also aim to use the exhibition as part of our methodology and as a way of discussing mining. The exhibition is not fixed, as content will be added, changed or removed, in keeping with the need to make it locally relevant. This is such an exciting project, I feel really privileged to be involved. Massively challenging, but with such a high caliber and experienced Team, I sincerely hope we will produce excellent social science within a topic area of importance to the 16 million or so artisanal and small-scale gold miners around the world whose lives and livelihoods are dependent on the activity. 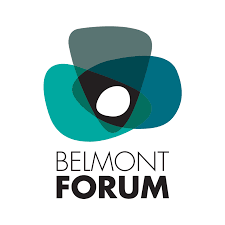 The project Gold Matters is financially supported by the Belmont Forum and NORFACE Joint Research Programme on Transformations to Sustainability, which is co-funded by DLR/BMBF, ESRC, FAPESP, ISSC, NWO, VR, and the European Commission through Horizon 2020.